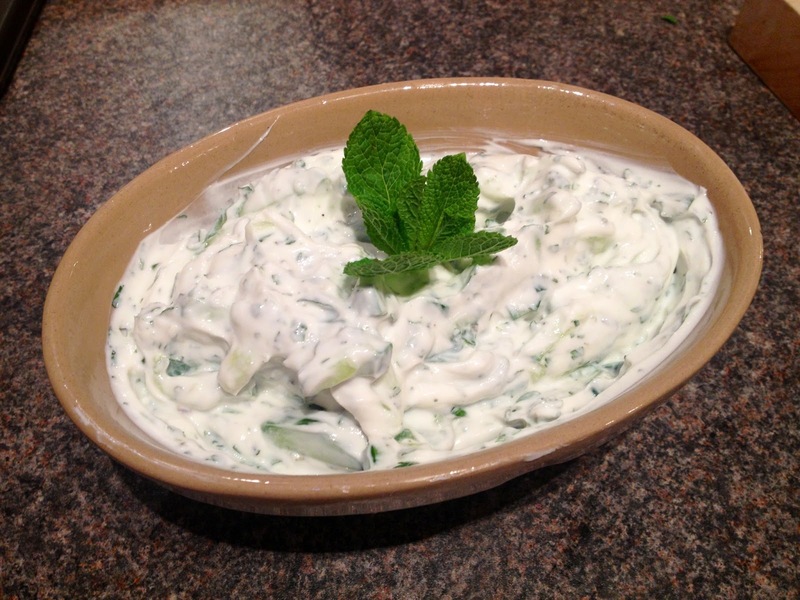 Tzatziki is a real classic in my house. 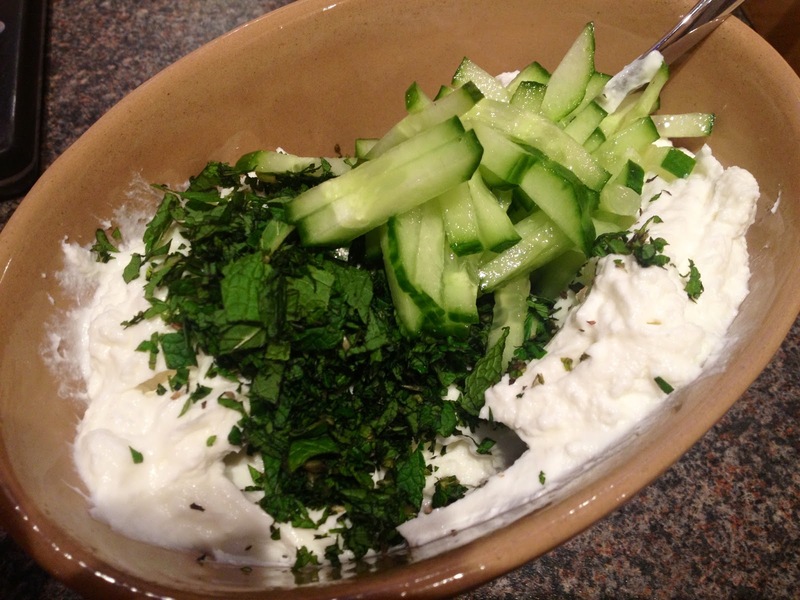 It’s a great dip, really versatile, light and refreshing. It’s also ridiculously easy to make. This is a great one to have at barbecues and will always go down well in a buffet, it’s also particularly nice as a side dish with roast lamb and some mediterranean roasted vegetables. Perfect easy recipe to use loads over the summer months. 1. Crush the garlic, finely chop the mint and finely slice the cucumber, or dice it if you’d prefer.